Every year, there are millions of burglaries across the nation. Why not achieve peace of mind by securing your home or business with a reliable security camera system optimized with our camera lens accessories? 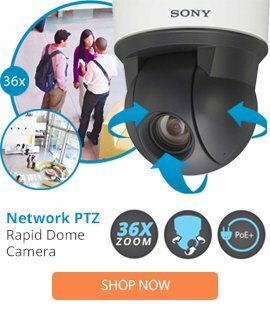 Surveillance-video sells the top-rated brands in surveillance technology at the most affordable prices in the industry, guaranteed, and our products can greatly improve your security camera capabilities. We carry extension tubes, filters, lens rings, lens-cleaning materials, and wide-angle lens conversion equipment. Our camera lens accessories will help you get the clearest picture possible. A focus tool can minimize distortion and improve the focus of megapixel cameras. A wide converter can widen the angle of view without reducing the aperture ratio, in turn giving your camera a better depth of field. Purchase a lens extender to increase the focal length or a simple lens ring to increase the field of view by at least 30%. Using a polarization lens will allow you to reduce glare, manage reflections, and darken skies for a better view. Our stock always includes a large selection of the best brands, such as Arecont Vision and American Dynamics. Don't forget to add in a lens-cleaning kit to make sure your camera is giving you a clear picture. And feel free to take advantage of our lowest price guarantee: If you see a product we carry selling at a lower price from a certified vendor, send us a price match request. Are you unsure which camera lens accessories are compatible with your camera? Give us a call. Our knowledgeable customer service staff will be happy to help you figure out which model will work best with your system. We also offer lifetime technical support on all of the products we sell. That means if you have any trouble installing or operating your products, now or years from now, you can contact Surveillance-video at any time and we will walk you through a solution. Our deliveries are fast, and we offer free shipping on orders over $500. Call now or fill out our contact form for more information on our reliable surveillance products. Surveillance-video looks forward to hearing from you.